On that show, there was a gentleman named “Gary Owens.” He had a gift…a voice that enunciated his words on a level that the legendary Director and Actor Orson Welles did. Both were commanding voices that made you listen. The voices were so distinctive that I always felt that you could close your eyes and know right away who they belonged to were in fact, his and Welles. Owens, who is well known for holding his right hand up to his right ear while speaking into a gimbaled boom microphone, adding to the appeal of Laugh-In that for that time, late 60’s – early 70’s was way ahead of its time. Owens, is a prolific radio announcer, DJ, Narrator, Broadcaster and animated voice specialist, one of the best in the business, who has marked over 3,000 cartoon shows and appeared in over 12,000 radio shows. His cast of cartoon characters that he has voiced include: Roger Ramjet, Space Ghost, The Blue Falcon and Ren & Stimpy’s Powdered Toast Man to name just a few. In 1980, Owens received A Hollywood Walk of Fame Star, and in 1994 he was inducted into the Radio Hall of Fame. RSR readers as we have done so many times before with the likes of comedians Shelley Berman, actress Lainie Kazan and Singers Gregory Abbott and Bertie Higgins to name just a few, we prove once again that boxing fans come in all walks of life because the sport of Boxing is part of the entertainment world. 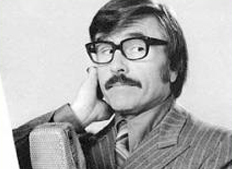 Ladies and Gentlemen, RSR welcomes “The Voice” Mr. Gary Owens…. BB: Let’s catch the RSR readers up on what you are doing today. Well, I am still doing what I have been doing for the last 50 years and working in animated cartoons. We have a new one coming up called “Captain Rochester,” who is through Creator Scott Shaw of Rochester Electronics and I play the lead as a super hero. The show will be syndicated around the world in about three months. I have played a lot of superheroes over the years such as Space Ghost for 25 years. Also, I was Blue Falcon in The Scooby-Doo/Dynomutt Hour from Hanna- Barbera amongst countless others. With my voice, I was always usually cast as a Narrator or a Super Hero. BB: Doing research for our interview, I found out that your Mother Venetta Clark was an Educator and I could not help but think she stayed on you at an early age about enunciating your words when you spoke and that this in turn, is what helped you later in life to go on and have a highly successful career in countless voiceover jobs in movies and cartoons. How close am I with this observation? Well, actually I think it might have been more my sister who owned a couple of newspapers. My sister was very hip and not that my mother wasn’t, but she encouraged me to read her old Pulp Magazines (Often referred to as “The Pulps”, also collectively known as “Pulp Fiction,” were inexpensive fiction magazines. They were published from 1896 through the 1950s), which she would bring home from college. I would read a different magazine every day. Along with these, I would read Life Magazines and others from that time that really influenced me in a lot of different ways. As you know, the great Three Dot Journalism of the late Walter Winchell also influenced me a lot. I got to know Winchell when he moved from New York to Los Angeles. These for sure, were large influences on the way I would use my voice and reading really was very important to learn how to enunciate and Mom also encouraged me to do whatever I wanted to do as well. BB: How did you break into the business? I actually started as a newspaper writer back when I was 16 years old. At that time, I wrote for a daily newspaper in Mitchell South Dakota. Allen Neuharth and I have been friends every since I was in High School. He was from Eureka, South Dakota, and later went on to create USA Today. He was a newspaper writer at that time and did a paper called “SODAK Sports” for South Dakota Sports and I was a writer for that. I also wrote for the Daily Republic. My start was as a sportswriter and a sportscaster. I know we are going to talk about boxing a little later, but one of my biggest early thrills in the business was interviewing Joe Louis back in the 1950’s. Louis was talking about the Billy Conn fight and years later, I had another big thrill when Jake Lamotta came by my radio show with his son during the time Raging Bull was made and I interviewed Jake for about an hour. Broadcasting has always been my first love. This year I am celebrating my 50th year in Broadcasting, Television and Radio. BB: If you had to pick just one comic character you created on radio, which would you say is closest to your heart and why? BB: Though I didn’t start listening to radio until the early 70’s as a young child, I can say at least that is was much better back then and much more personable to the listener. Today, you have everything, for the most part, programmed. What are your thoughts about radio today? That’s very true Brad. The thing is today, so much of it is pre-recorded for syndication and for a lot of local shows too. So it isn’t the same immediate feeling as if you had someone call you and say, “Can you play Jimmy Dorsey’s So Rare?” I would say “Sure, just a minute,” and my secretary would go to the library and get the record and then we would put it on. It was different world at that time and actually, a more fun world. The world really is different today. You know one or two corporations could own 150 stations or more. In those days, you usually had one individual owner and that was always fun. I began as a Disc Jockey in Omaha, Nebraska, at KOIL which was the number one station there for a number of years. I started as a News Director and the guy who was the DJ quit in the middle of the show. In the studio, I had six turntables and two Magnecorder recorders that you had to press and do the whole show standing up. It was not easy because you had to also push play so the prerecorded commercials would air. That is how I learned how to do it. It was an entirely different time for radio and it also gave you a chance to ad-lib without writing anything first. BB: In 1966, you made a comedy album on Frank Sinatra’s label Reprise called “Sunday Morning With the Funnies.” How did that album do commercially? Is it still available? That album was a satire on all the old radio shows and was a lot of fun. We sold quite a few copies and we had a great A & R man at the time with Reprise named “Jimmy Bowen,” who was married to Keely Smith. Yes, you can still find it at those antiquarian bookstores like Record Surplus on West Pico Boulevard in Los Angeles and you can find just about any album or single you are looking for. BB: In 1973, you wrote a book called “The (What to Do While You’re Holding the) Phone Book.” How did your book do and is it still in print? I wrote that book for Jeremy Tarcher (brother of famed writer Judith Krantz) who was Shari Lewis’ (Famous for Lamb Chop the sock puppet) husband. The book did very well and I think we went into three printings with it. It is still in print somewhere I am sure. BB: In 1988, Keenan Ivory Wayans brought a very funny movie to the screen that parodied Black Exploitation movies of the 70’s called “I’m Gonna Git You Sucka.” In it, you played the MC for the “Pimp of the Year Contest,” which I found to be a hilarious scene. Was it as fun to shoot as it was to watch? It was very funny to shoot and actually, the entire scene was cut down some. You had all these guys in prison watching a show with most of the guys who were in the show were criminals. In one of the scenes that I think was cut that Keenan put in there was a very large man dressed like Shirley Temple who got up and sings with a guy getting up in the audience who takes out a gun, then shoots him. That part was cut out. That movie did about 70 million dollars when it first came out. It was a very funny film. BB: I found an interesting audio clip on Youtube of you talking outside of Frank Sinatra’s Memorial Service with DJ Dennis Daily. Were you friendly with Frank Sinatra and if so, any stories you can share that have not been told before in print? I knew Frank for about 45 years practically. Over the years, I had done a number of things with Frank and he was always a gentleman to me. As a matter of fact, I do have a story for you. Nicky Blair’s was at one time a top restaurant on Sunset Boulevard and I was to introduce Frank and Nancy, his daughter, who just had a book come out about her dad. I got off the air at about 6:00 PM and I was late in getting out of the station so I phoned for Frank to let him know if he wanted to go on without me. That would be fine. I rushed around in my car to get over there and by the time I did, I was about 25 minutes late. Frank was actually waiting for me. Nicky Blair the owner told me “No, No he is waiting for you.” I felt so bad about it, but got up there and did the announcing and it turned out to be a great event for her book which sold many copies. BB: You have worked with so many big stars in Hollywood, it would be impossible to name them all, but I selected a few. Give the readers your first thought as I mention them. He was a delightful young man. When he started on “The Green Hornet,” which was his first TV series, it was really something special. He had to almost slow down his Karate with the stuntmen because he was so good. Bruce had a one inch punch that he showed me at a party when we bought a new home around 1967. He had a great sense of humor as well. He was brilliant and so funny. He was also brilliant and very funny. She was so fun. I don’t see her as often as I used to, but she was brilliant from day one. Ruth and I were the only ones who did all six seasons and I enjoyed working with her. BB: Do you feel Laugh-In was ahead of it’s time? It was almost 20 years ahead of it’s time. BB: Coming along during the end of the Hollywood studio system when you had some amazing stars back then, why do you feel that today you just don’t see that level of talent in Hollywood? First of all, the studios would put the spotlight on the great actors of that time. Today, you may have a character actor who today is doing four different shows. Steve Carrell is great and is not just a character actor, but a lead as well. There is a lot of talent out there, but in the time you refer to say we pick Clark Gable. In 1931 alone, he made 13 motion pictures and today, that would never happen. BB: If you were stranded on a desert island and only could have one movie and one CD, what would you pick? The movie would be Gilda with Rita Hayworth (1946 movie that co-starred Glenn Ford). The CD would be anything Jonathan Winters did. BB: What words of wisdom do you have to the young man or woman wanting to break into voice work? Study the people doing commercials and listen very carefully. Don’t copy them, but come up with your own style while you listen to the way they say words. Also, pick up the NBC book on pronunciation which announcers had for years. It had words from every form from Spanish to French. BB: Tell the RSR readers how you first started following the sport of boxing? I was probably about 12 to 14 years old and I can remember listening on the radio to Don Dunphy on old “Gillette Friday Night Fights.” Kid Gavilan was one of my favorites back then. BB: Who are your top three fighters of all-time and why? Joe Louis was my all time favorite. As I mentioned earlier, I did a broadcast very early on in my career and he was just such a nice man and a fantastic fighter. Next would be Jake Lamotta. I remember him having small fists, but they were really piston like and he was in many wars I used to watch. Finally, I would go with Sugar Ray Robinson who I not only also liked as a person, but I thought he was such a great boxer. I do think he was the greatest boxer of all-time, but picking your favorite is like choosing your favorite singer, it can be very hard because you loved so many. BB: Do you have funny stories about fighters you have known or met? Not really funny, but when I was talking with Joe Louis on my show, I said to him you have fought just about every major person in boxing. Then I asked him, could you name one that impressed you most before the fight? He replied, “Max Schmeling”. I was very surprised he said Schmeling of all the fighters. BB: If you had to pick one fighter since the day you started following boxing, who do you feel moved the sport ahead the most and why? I would go with Sugar Ray Robinson because he not only was a great champion in the ring, but he did so much for charity outside of the ring which a lot of people don’t even know about. That made him a person that was known around the world for his fisticuffs and his humanity. BB: Do you feel the sport of boxing has moved ahead or backwards since you first started following it? I think the personalities became less as time went on. Years ago, the general public really knew the larger than life fighters I feel than they do today. BB: Who is your favorite Boxing Commentator? I always liked Don Dunphy who worked with Bill Corrum who did the color commentary for the fights. Together they were a very exciting team to listen to. BB: What is your favorite boxing movie of all-time and why? Yes, I do. 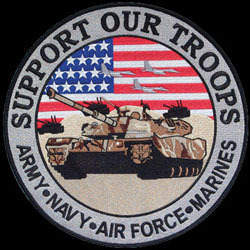 It’s a very sad commentary that the fighters don’t have one. I think the fighters could take a percentage out of their purse and in addition, the promoters should put a percentage in as well because they make money from the fighters and never take the blows. Interviewers closing note: A special thanks to Shelley Berman for introducing me to Gary.